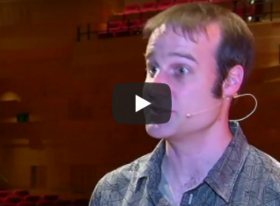 Maths Inspiration returned to New South Wales, Australia in July 2017 with six shows hosted by Matt Parker, with Rob Eastaway and Jen Rogers. Watch the ABC TV News report on our Australia 2015 shows. Come and meet our interesting and engaging speakers and find out about their specialisms. Six Maths Inspiration DVDs that are a fantastic STEM resource for the classroom and home. Download the Maths Inspiration Annual Report PDF.